Coup des Tartes is one of those lovely little gems that you want to hold onto for yourself, but it is too good not to share. 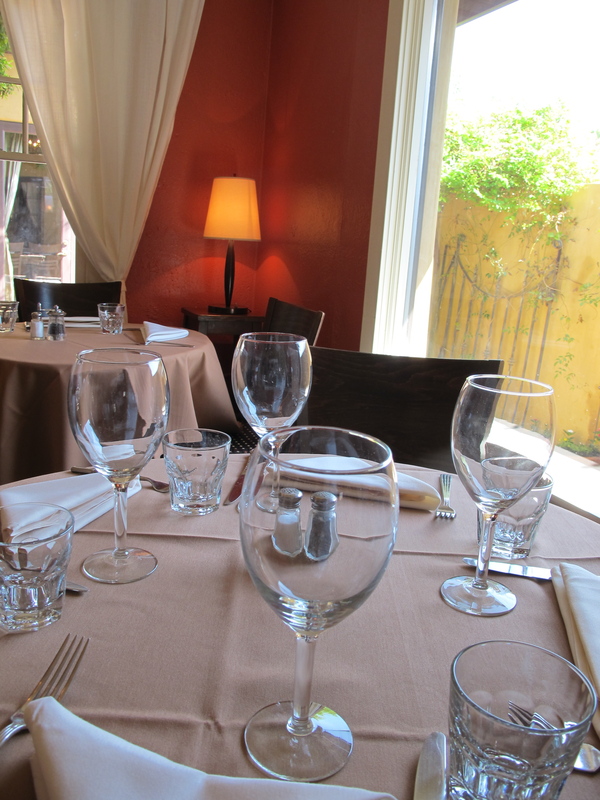 A charming little bistro in central Phoenix, Coup des Tartes is the place you take someone when you want to impress be it a date, your soon-to-be-in-laws, or the new boss. It has all of the key ingredients you would want for a special night out and a menu that has so many wonderful options everyone will be pleased. There seems to be a little magic at work there. Wanting to know more, I met with the owner of Coup des Tartes, Ron Pacioni, a man who is as charming as his bistro. At first glance Ron seems mild-mannered, but when he starts talking about his restaurant Coup des Tartes he becomes animated, excited and expressive. Passionate even. It makes sense. The name Pacioni means “passion” in Italian. Restaurants are in Ron’s blood. His grandfather owned a number of them in Chicago years ago. Ron and his wife even owned a chain of them in Phoenix awhile back. But after he sold those and spent some time in the world of land development, he felt the restaurant world still calling to him. There was something about food and cooking and dining that he craved, but he wanted it to be right. Because, when you do things right from the beginning, according to Ron, everything after that is easy. So five years ago when he looked at Coup des Tartes, it felt like more than just a good business, it felt like a good fit to who he is as a person. This little French bistro has a lot of heart and soul, and the addition of a little Italian passion seems to fit it perfectly. “Dining should be an escape,” Ron told me. “If we can give people a moment away from the outside world and to just celebrate, then we have helped in some way.” Coup des Tartes is definitely that place. Ron wanted the restaurant to be a place that people think of when they want to celebrate, be it a first date or a twentieth anniversary. This is that place where you go when you wear your nicest dress and have paid the babysitter overtime. Where you can give a toast, even if it is just because it’s Tuesday night. And yet, it is without the stuffiness and pretension that can come with a fancy night out. The atmosphere at Coup des Tartes makes you instantly feel at home, which is fitting, because Ron feels like it is his. He loves preparing good food and entertaining, and his focus is to always have people feel welcome. The inside feels warm and quiet and so inviting, but one of my favorite memories there is eating outside in the courtyard near the fountain and under the twinkling lights. There was no grand occasion that evening, but Coup des Tartes made it special nonetheless. Ron wants you to take a moment while you dine and taste every flavor, layer by layer, in each bite. He says his chef Jose Hernandez has a special talent for creating dishes that highlight each flavor, giving you the chance to actually taste and enjoy the lime or basil or mint. Having enjoyed different dishes here, I know that to be very true. The purity of the ingredients is very important to giving diners this experience. Again, it starts with doing things right from the beginning. “We change our menus seasonally, based on what is local and organic and abundant in that season,” Ron said. They also do special menus throughout the year for Valentine’s Day, Mother’s Day and New Year’s, but their focus is on creating a new menu each season that showcases what is at its peak, because he feels strongly that it does make a difference. His dishes focus on using fresh herbs right from their garden, rather than dried. He likes free-range chicken and grass-fed beef, just as he does heirloom tomatoes, because that is how they were intended to be. Farm-to-table is not a concept at Coup des Tartes, it is their practice. Using fresh ingredients is not just because it is important for your diet, but Ron thinks it is also the most exciting way to eat. He likes doing his research to see what new trends are in food and what new things we have growing at the farm. He wants his patrons to enjoy these experiences as they dine. 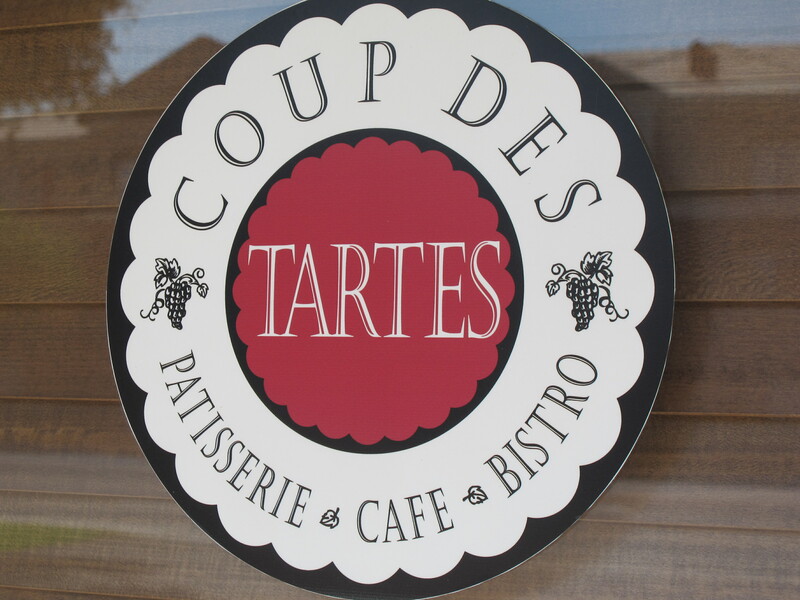 Coup des Tartes is also more than a restaurant. 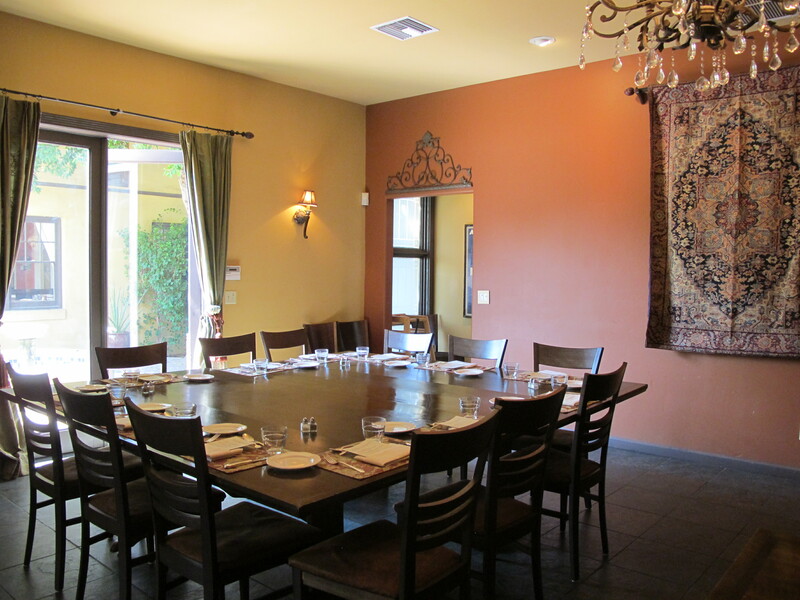 They also have an on-site venue called Rendez-Vous, which is a beautiful private room that is half dining room and half living room, that is perfect for a private event. (I should know, my family has thrown a bridal shower and a baby shower there over the past two years). They also do off-site catering, where their focus is to create a restaurant dining experience, like that at Coup des Tartes, brought to you at your venue. With both, they are happy to create options and menus that work with the event, which staying true to the seasons. 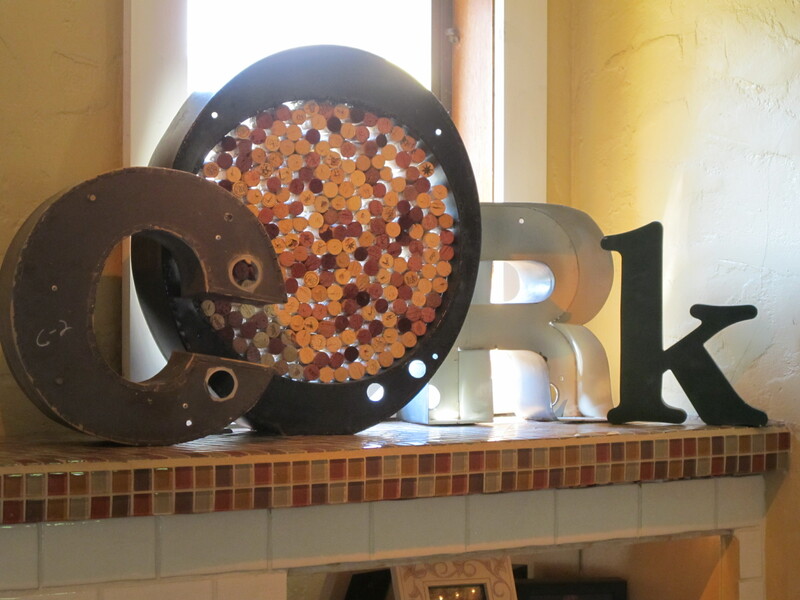 It is note-worthy to mention that Coup des Tartes is BYOB, so go find that bottle that you have been saving for a special occasion, because this is the place you want to be when you finally get to sit and relax and truly enjoy it. Ron would want that for you too! With Valentine’s Day around the corner, I would recommend a reservation and soon. It is the perfect place to take your someone special. Fabulous write-up!! They are, indeed, fabulous!